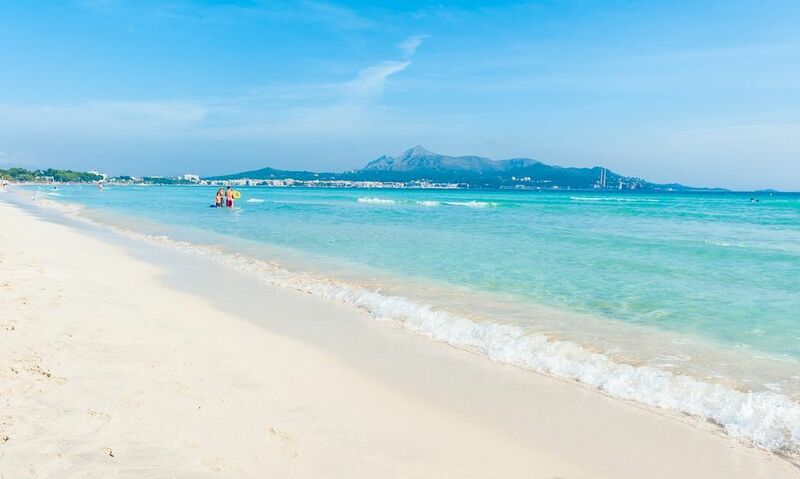 There are 262 beaches on Mallorca with a total length of 50 km. 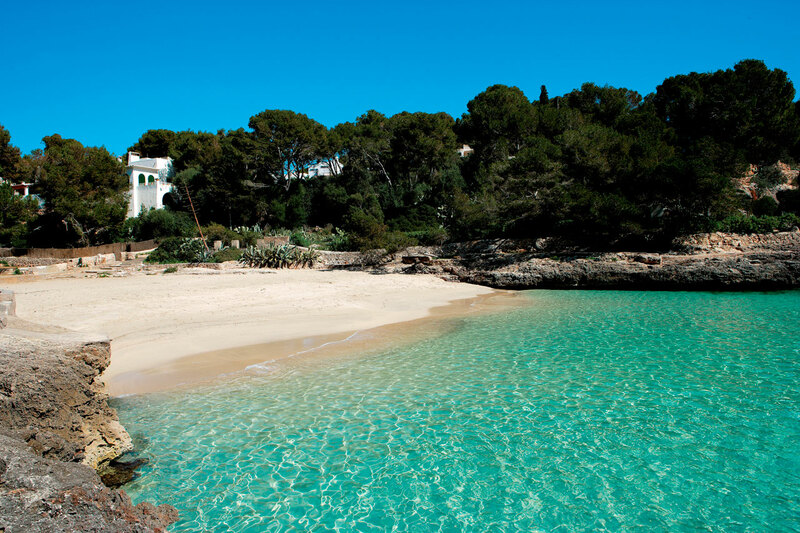 This beautiful Balearic Island has something for everyone, including plenty of Blue Flag award-winning beaches. Pine-fringed coves, sweeping bays, rugged inlets, lively or serene; they come in many forms but are all equally inviting. 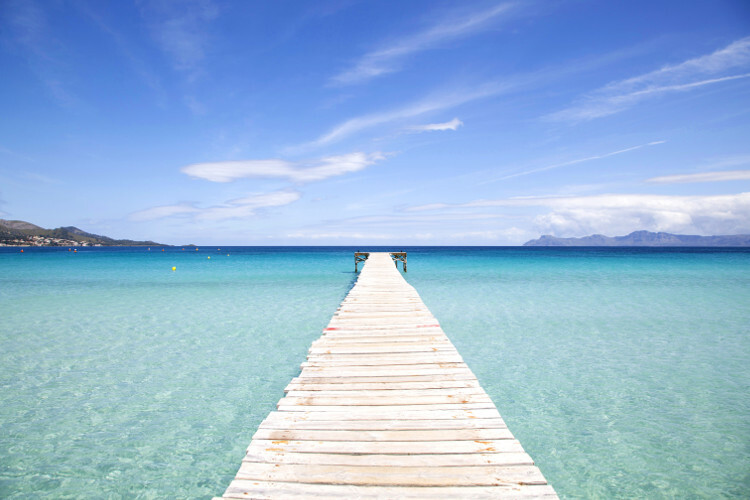 Mallorca’s perfect for you if you love spending your holiday relaxing in the sun on some stunning beaches. Here is a few for you to choose from! A well-known and popular beach. It has beautiful fine, white sand. It also boasts a Blue Flag status as its waters are calm enough for paddling and swimming. As the beach is quite wide, it offers lots of sunbathing spots. Towards Playa de Muro, you’ll find quieter areas if that’s what you prefer. 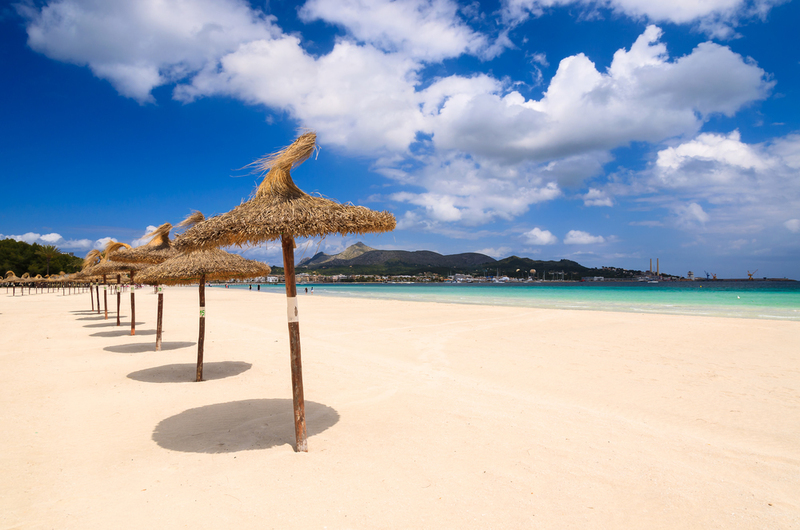 Wide and long with shallow water, Playa de Muro is an excellent choice if you are staying on the east of the island and have young kids. 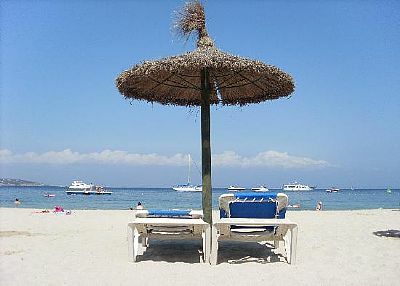 This stretch of sand is very close to the resort of Alcudia,but is generally a bit quieter than the main beach there. The water is great for small children as it stays relatively shallow until quite far out. This is very much a family resort, with its wide stretch of sand is very popular with families with young kids. 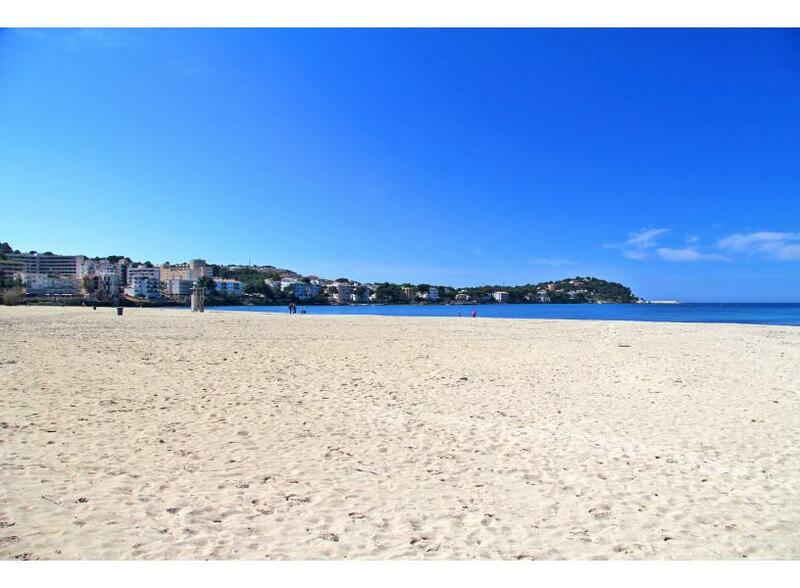 The beach is a great size and very clean, another plus side is the water is shallow and calm. 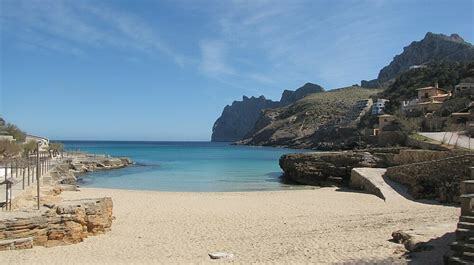 Surrounded by the Cavall Bernat mountains, the picturesque bay of Cala Sant Vicenç in the northeast of the island is made up of four small beaches named Barques, Molins, Clara and Carbó. Their natural beauty has lead them to become the sites of many films and documentaries over the years. The beach is world-famous and has been frequented by celebrities such as Audrey Hepburn and Winston Churchill. This is another blue-flag beach which boasts of lots amenities. It is also set against a backdrop of a pine and oak forest which, some points hang over the Mediterranean’s surface. Take your pick from five small beaches sprinkled around this hotspot on the east coast of the island. Cala d’Or, Cala Esmeralda, Cala Ferrera, Cala Serena and Cala Gran are all picturesque little coves. As they’re natural, some have rocky edges with bathing platforms and steps into the inviting turquoise water. Pine trees shelter these areas, so the calm water is great for snorkelling. This Blue Flag beach in the heart of resort and is enormous, at one kilometre long and a depth of 60 metres. There is plenty of space for families and small playgrounds can be found at the rear of the beach. is yet another Blue Flag beach this time located at the eastern end of the resort. 600 metres long by 60 metres deep. 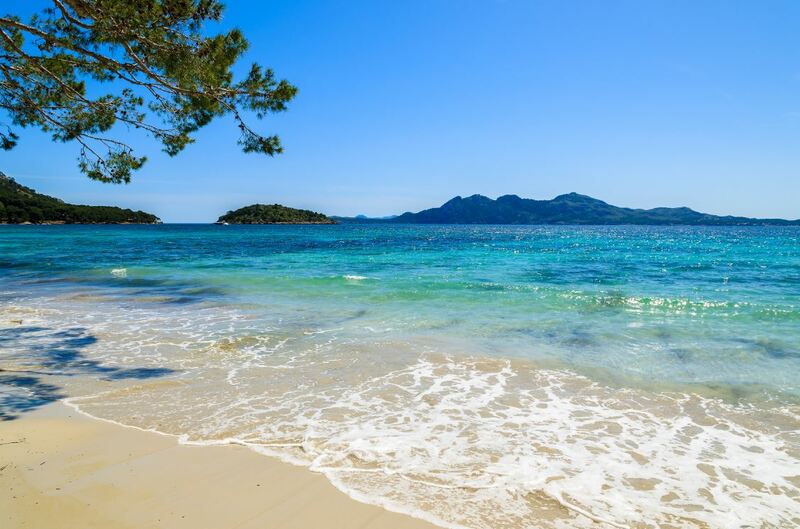 Perfect fine white sand and clear blue sea.